The ESP8266EX is a low-cost Wi-Fi chip with full TCP/IP stack and MCU (Micro Controller Unit). 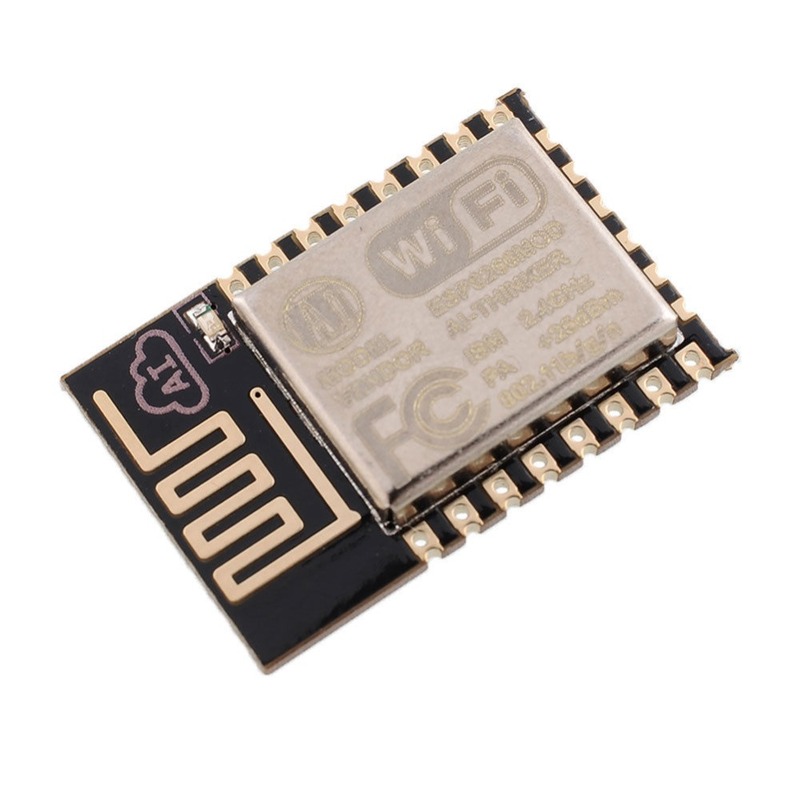 The ESP8266EX is an high integration wireless SOCs, designed for space and power constrained mobile platform designers. It provides the capability to embed Wi-Fi functionality within other systems, or to function as a standalone application, with the low cost, and minimal space requirement. It is among the most integrated WiFi chip in the industry; it integrates the antenna switches, RF balun, power amplifier, low noise receive amplifier, filters, power management modules, requiring minimal external circuitry. The ESP8266EX also integrates an enhanced version of Tensilica’s L106 Diamond series 32-bit processor, with on-chip SRAM, besides the Wi-Fi functionalities, ESP8266EX has a number of interfaces – I2C, SPI, SDIO and also a number of free GPIO pins. . ESP8266EX is often integrated with external sensors and other application specific devices through its GPIOs pins. 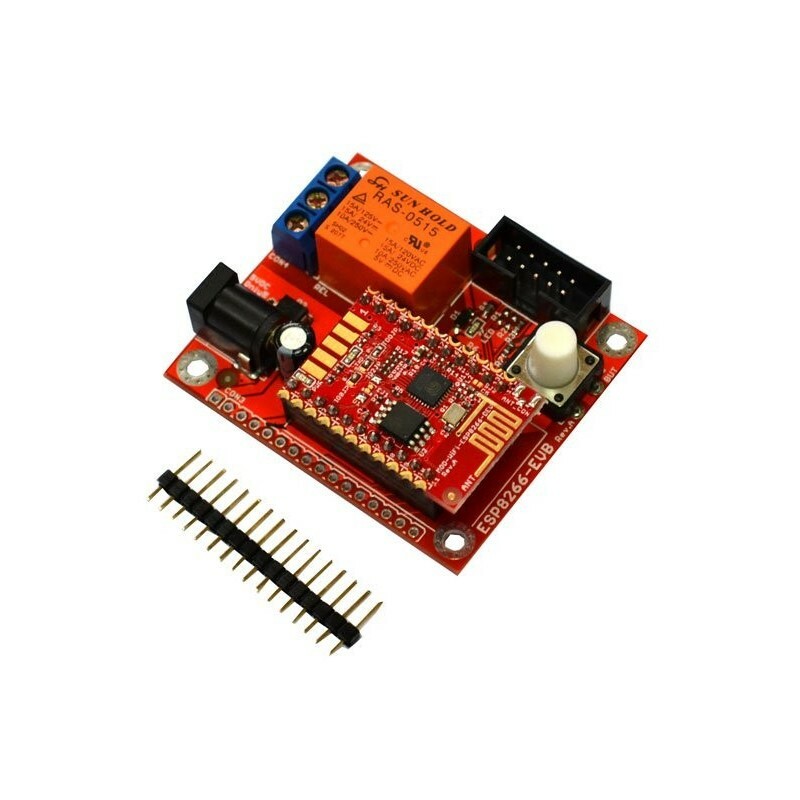 The board can be easily integrated with an Arduino Mega, to provide Wi-Fi connectivity to the Arduino board and it can be programmed via one of the Arduino Mega serial ports, using a set of AT commands. ESP8266-EVB is an evaluation board for the highly-integrated WIFI SoC ESP8266EX, featuring a relay, some buttons, a power supply, and a GPIOs header. It can be used for projects in home automation, smart plugs and lights, mesh networks, industrial wireless control, baby monitors, IP cameras, sensor networks, wearable electronics and many others. This board has a universal extension connector, UEXT, which allowing to add a peripheral module easily. The UEXT can provide I2C, RS232, SPI and power to the external device. The board can be powered with an external 5 Vcc power supply through a barrel Jack. The Board can be programmed with the ARDUINO IDE, since the IDE supports the ESP8266 hardware, gratly simplifying the programming of this little and inexpensive board. The board is Open Source and the schematics and PCB layout (Eagle and PDF) are available.